MONTREAL – Dorel Industries reported third quarter revenues were up thanks to a record-setting performance by its furniture producing home segment although net income for the publicly held consumer goods giant was down over the comparable period. The company also warned of murky seas in 2019 when the United States imposes tariffs on consumer goods made in the People’s Republic of China. The company reports its results in U.S. dollars. For the three months ending 30 September 2018, revenues were US$670.4 million, up 4.3% from US$642.6 million for the same period last year. Net income was US$9.6 million or 29 cents per diluted share, compared to US$13.1 million or 41 cents per diluted share – a decline of 29.3% on a per share basis. For the nine months also ending 30 September 2018, revenue was US$1.94 billion, an increase of 1.9% compared to US$1.90 billion last year. Reported net loss year-to-date was US$400,000 or one cent per diluted share, reversing the comparable period’s reported net income of US$33.6 million or US$1.03 per diluted share. Removing the impact of the 2018 first quarter impairment loss on trade accounts receivable from Toys ‘R’ Us bankruptcy in the U.S. of US$9.4 million after tax, the year-to-date adjusted net income was US$38.6 million or US$1.18 per diluted share, compared to US$49.7 million or US$1.52 per diluted share a year ago – a 28.8% drop on a per share basis. “While we were pleased with the significant progress at Dorel Sports and the top line success at Dorel Home, Dorel Juvenile had a disappointing quarter,” Martin Schwartz, the company’s long-time president and chief executive officer said in a statement. “Dorel Home’s e-commerce business continued to account for a growing share of revenues, more than compensating for lost brick and mortar sales,” he continued, adding, “Several factors caused lower gross margins at Dorel Juvenile, which significantly affected earnings and steps are underway to correct this situation. Our new product pipeline for our major markets, both launched and in progress, is the best it has been in recent memory and is expected to reverse the negative trend of the past two quarters. “A substantial number of our imports from China into the U.S. are now subject to new 10% U.S. tariffs, which primarily affect our Dorel Home and Dorel Sports segments. We have informed our customers of the impending price increase necessitated by these tariffs. The rate of imposition is currently scheduled to increase to 25% on January 1, 2019 and at that level, these increases could impact consumer demand in the longer term.” Schwartz noted. 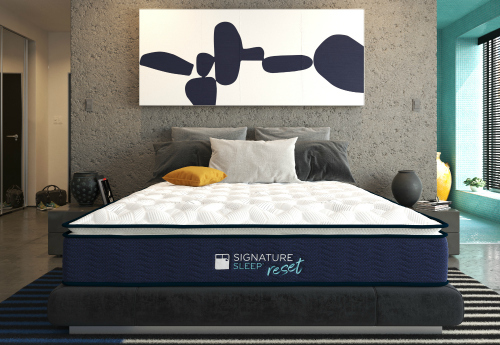 Dorel Home – which includes DHP, Dorel Living, Signature Sleep, Little Seeds, Ameriwood Home and Cosco Home & Office – set a new record with third quarter revenue climbing to 10.0% to US$221.6 million compared to US$201.4 million a year ago. Nine-month revenue was up 0.9%, to US$595.2 million. The company said year-over-year third quarter e-commerce gross sales grew 26.6% representing 58% of total segment gross sales compared to 51% a year ago, driven by increased sales in all divisions to on-line retailers. Year-to-date e-commerce gross sales accounted for 55% of total segment gross sales, compared to 50% last year. Operating profit in the third quarter decreased 5.0% to US$19.5 million from US$20.5 million as some divisions were slightly affected by overseas finished goods cost increases that have not yet been fully offset by price increases. Warehouse and distribution costs were higher than prior year due to the segment’s additional overall warehouse footprint. Nine-month operating profit decreased 7.5% to US$52.7 million from US$57.0 million. The decrease includes a US$2.1 million impairment loss on trade accounts receivable from the Toys ‘R’ Us closure. On October 1, Dorel Home acquired the assets and operations of Alphason, a designer and distributer of award-winning home office and audio-visual furniture based in the United Kingdom. The Alphason brand is well known in the UK and is sold at several large independent retailers across the country. The recent licensing agreement with Cosmopolitan magazine is off to a good start with several full-page ads already appearing in the September and October issues, Schwartz noted, adding, initial sales of the special CosmoLiving collection are encouraging. The line was featured at last month’s High Point Furniture Show. Looking ahead, Schwartz said he expects Dorel Juvenile – which reported declining revenue and operating profit for the third quarter – to recover over the coming months while recent improvement garnered by Dorel Sports are anticipated to continue. “As in the third quarter, Dorel Home is expected to deliver higher sales in the fourth quarter, compared to last year, with operating profit consistent with prior year,” he said.